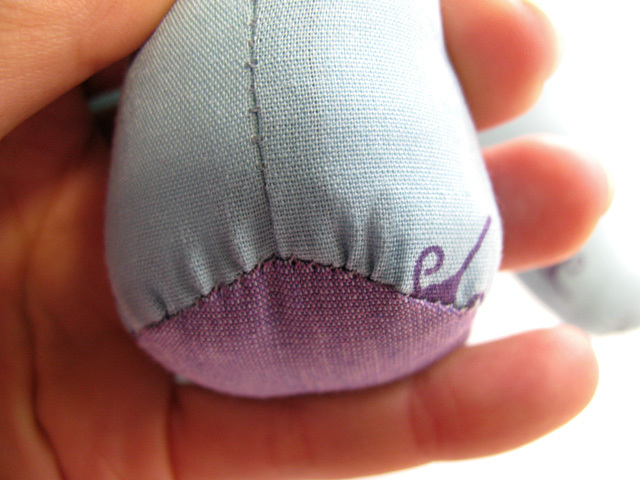 Put your best foot forward – How to sew PERFECT plushie feet! Isn’t it funny how these things stick with us as adults? I got a lovely email from Jen recently, whose nieces and nephews are all huge fans of Ellie the Elephant. Jen asked if I could help her with some tips for sewing her softies’ feet as her foot pads always end up with pinching or puckering on the seams, no matter what she does. 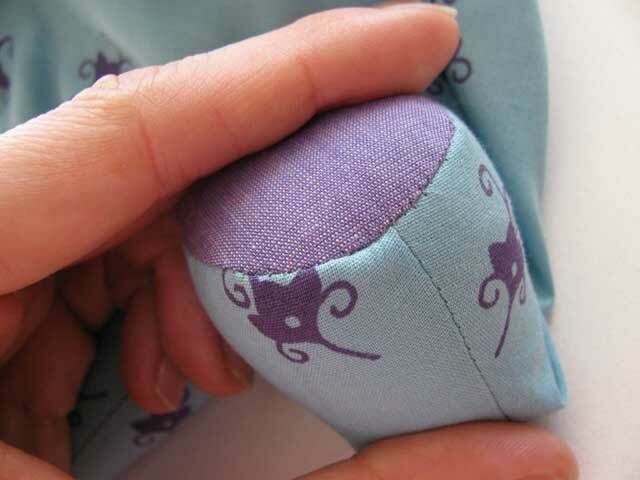 So let me get straight to it ~> and show you how to make PERFECT FEET for your next softie creation – nice and neat, without any pesky puckers or pleats, and of course, dainty and pretty to look at! I almost don’t want to show you! It’s not bad, BUT certainly not BEAUTIFUL! Pin the foot pads in place, starting with 4 pins, front back and on each side. 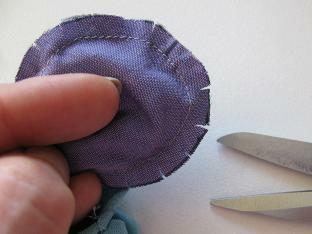 Place another pin between the first 4 pins, so you should have 8 pins so far. Turn the foot over and pin from the other side. 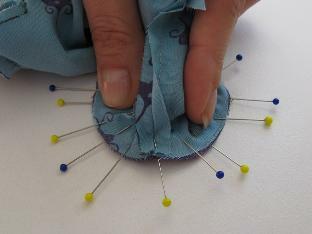 Place a pin in between the pins on the first side. 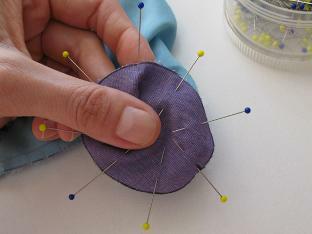 You should end up with a ‘pinwheel’ which looks a LOT like the new pins which you buy at the haberdashery store! * Pull the pins out just before you are about to go over them. Pins can do a lot of damage to your machine or your eyes if they snap!!! Then I use a wooden chopstick as a turning tool to help me turn the seems properly. I smooth them out by running the end of the chopstick back and forth so the stitches can be seen, right around the edge of the footpad. ALL that’s left to do is to stuff your feet FIRMLY so the toy stuffing ‘puffs out’ the foot. AND all the pesky puckers are GONE! Well, it was fun making these pics, and I hope that it helps you to make the MOST GORGEOUS softies’ feet ever! Please leave your comment here. 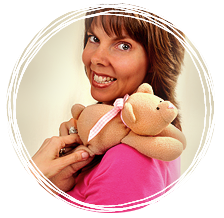 IF you are NOT on Facebook - please scroll down to comment below the LAST blog comment! Thank you! Oh, wow, I thought it was normal and accepted to have little puckers in things like this. Now I know that there is a better way. Thanks so much for your advice. You are a very good teacher. I am just making my very first soft toy and will be putting the feet together this evening! Thanks for the tips, they arrived just in time! Thanks for giving us the tip. 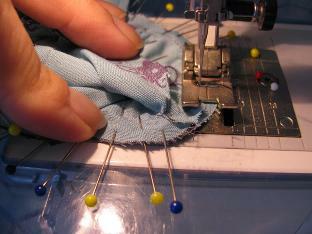 It’s a great help to me and will have to try your way next time I sew the feet. I never liked doing the feet because of two problems. One of them was the pesky puckers. That wasn’t my main problem. Half of the time, when I do the animals, it seems like the pads fit perfectly for the two feet but it’s too small for the other two feet which is frustrating because I copied pattern pieces exactly like the ones you gave me and didn’t understand why it won’t fit together. Half of the time, I wanted to make a bigger pads but then it will make 2 & 2 pair of feet unevenly so I tried my best to stretch the two pads to reach the edges of the animals’ legs so all 4 feet will be the same size. 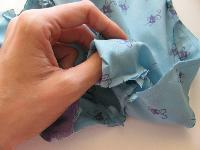 Maybe I did something wrong and somehow stretch the fabric but I didn’t think so. 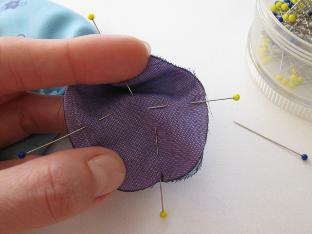 Anyways, just wanted to say thank you again for your tip and hopefully it will make my life easier and that I will enjoy sewing the feet in the future. My pleasure Leah,I’m glad my tips are helping you. I find the pins work a treat! 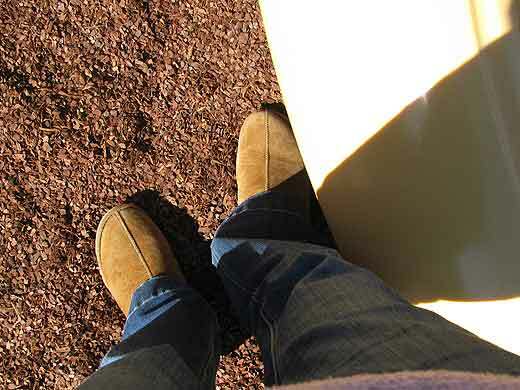 Now you should have perfect matching feet EVERY TIME!